VPU library was established in 2000 and is situated at the main University building. It is open five days a week for all students, post-diploma lecture attenders and academic workers. At the library reading room one can find computers with access to The Internet, which allows all students to stay connected all the time. 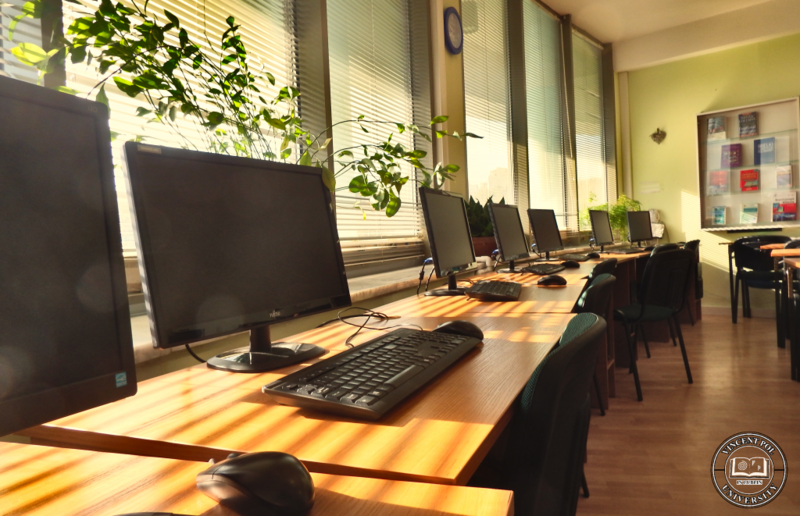 Some of the computers are made convenient for the visually impaired students with magnifying equipment such as BigKeys keyboards or ZoomText large-print keyboards. The reading room is also a perfect workplace for everyday student needs. 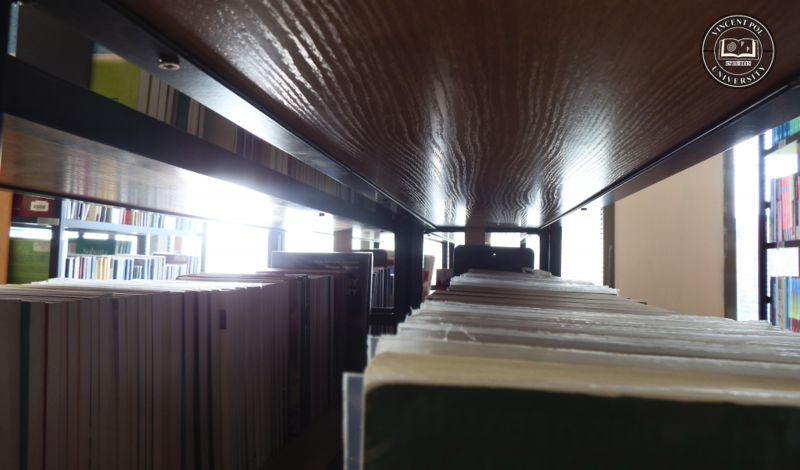 Materials relevant to all programmes can be found in our Library. The collection of volumes is ever increasing and regularly updated and currently consists of over 22.000 positions on, among others, medical rehabilitation, physiotherapy, cosmetology, tourism and leisure and sport science alongside a selection of dictionaries, encyclopaedias, workbooks, professional and scientific magazines and an extensive assortment of modern media. VPU Library staff has access to professional MAK+ software, recommended by National Library of Poland. Thanks to that, the students are able to remotely view the catalogue of volumes available at the library at any given moment and view and manage their accounts. Additionally, VPU Library gives students access to various scientific online databases such as IBUK Libra, Wirtualna Biblioteka Nauki, e-Publikacje Nauki Polskiej (EPNP).